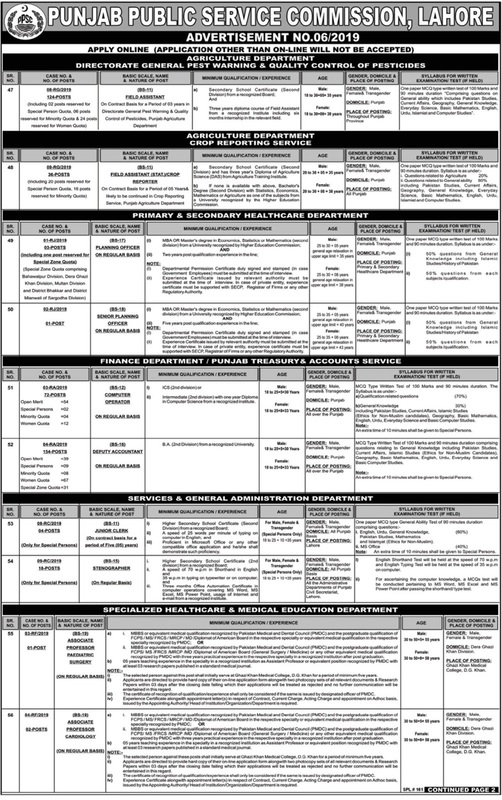 Punjab Public Service Commission (PPSC) Jobs is offered by the organization of Assistant ManagerComputer OperatorDirectorFaisalabad JobsField AssistantJunior ClerkPPSC JobsProfessorsRawalpindi JobsThe Nation Newspaper Jobs. The Working hours for Punjab Public Service Commission (PPSC) Jobs is 8 hours a day and 40 hours a week. 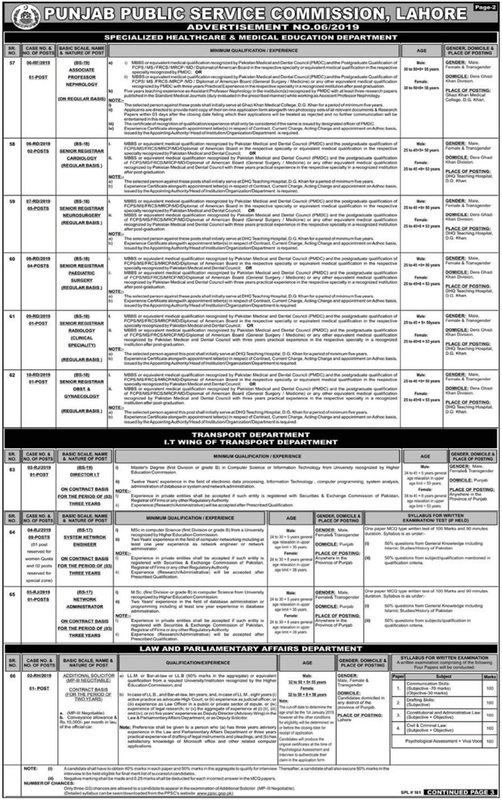 So, Punjab Public Service Commission (PPSC) Jobs is a fulltime job. 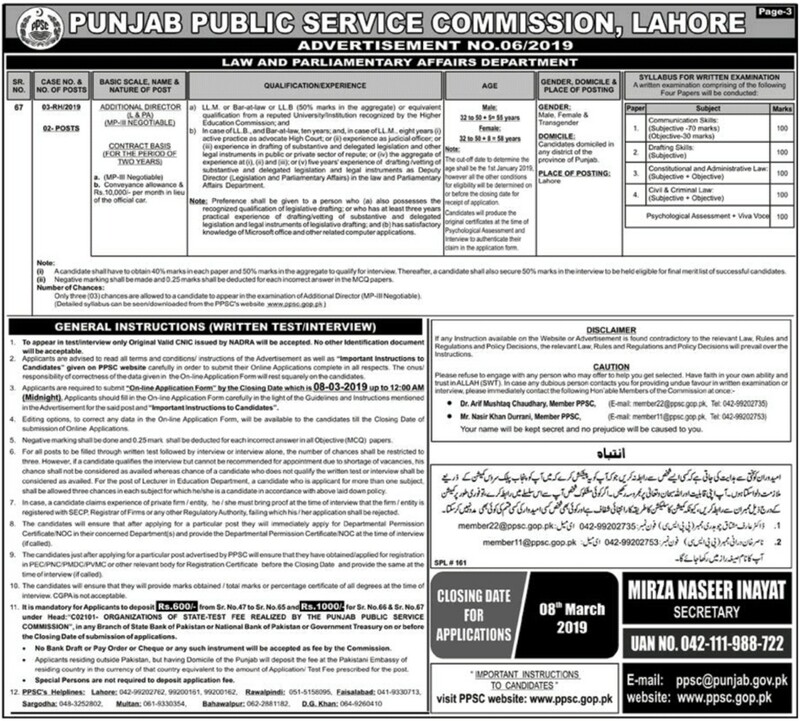 The advertisement of Punjab Public Service Commission (PPSC) Jobs contains complete information about job specifications, job description etc. which is published in Different Newspapers dated February 21, 2019.